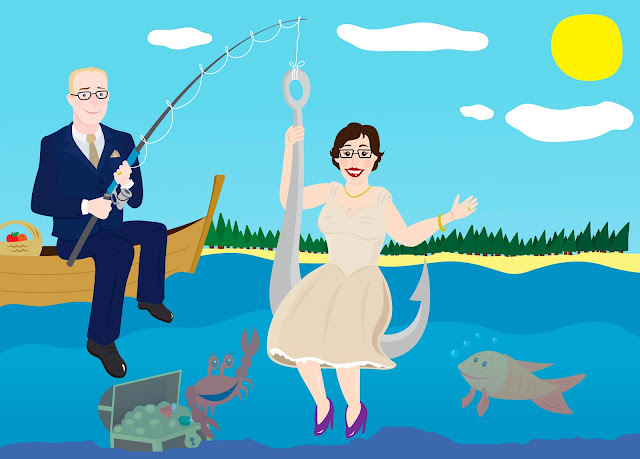 Here's a look at a little caricature illustration that I was commissioned to do for a dear friend's wedding invite. I was so thrilled to be asked to this illustration and I am really proud of the finished piece. Congrats guys hope your special day is filled with memories to last a life time.